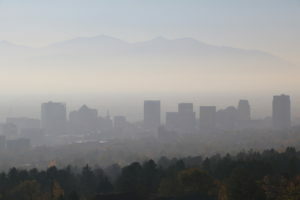 Smog-forming pollution from oil and gas development is detrimental to Utah’s public health and our recreation economy. While it’s promising to see Utah take steps to address this problem, the state missed an economic opportunity by failing to require companies to capture methane—the main component of natural gas. This omission will lead to more wasted gas, less revenue for rural counties, and less opportunities to recruit businesses looking to locate near Utah’s great outdoors. The state had the chance to implement stronger,more frequent standards for leak detection and repair, which would have created a win/win—more jobs in the oil fields right now and cleaner air to pave the way for new economic investment in rural Utah going forward. The rule announced by the state is a good starting point for reducing smog levels, but additional action will be needed to fully address the ozone problem in the Uintah Basin. For more information on the proposed changes, see here.